Spiders are terrifying. Even the suggestion of one is enough to bypass all rational parts of your brain and send you into a spiral of paranoia and horror, but that's fine because we're all on the same page. With that in mind, no one is allowed to judge the person in the story you're about to read. This could've happened to anyone. 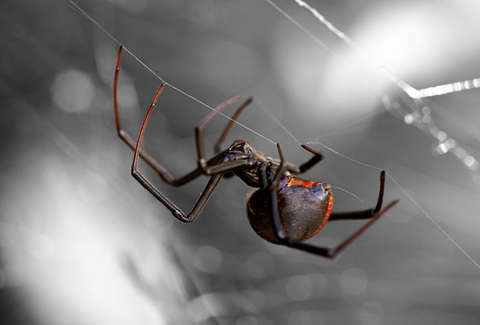 A 23-year-old man in Fresno, California was house-sitting for his parents when he came across multiple black widows. He reacted as any reasonable human would -- and promptly overreacted. By which we mean, he used the righteous flame of a blowtorch to attack the spiders and kind of, sort of set his parents' house on fire. But, you know, who among us? ABC 30 reports that no one was injured, but a whopping 29 firefighters responded to the two-alarm fire. The second story and the attic were both damaged. The local news station also noted that though "the exact cause has not been determined, fire crews believe the blowtorch is to blame." Or maybe the spiders set the man up? Who knows what they're capable of.